"Imprisoned mission wives and children, and elderly male missionaries, during the First World War in Bellary, South India." [English: Imprisoned mission wives and children, and elderly male missionaries, during the First World War in Bellary, South India.]" "[original caption] Gefangene Missionarsfrauen, Kinder u. ältere Missionare im 1. Weltkrieg in Bellary, Südindien." Title: "Imprisoned mission wives and children, and elderly male missionaries, during the First World War in Bellary, South India." 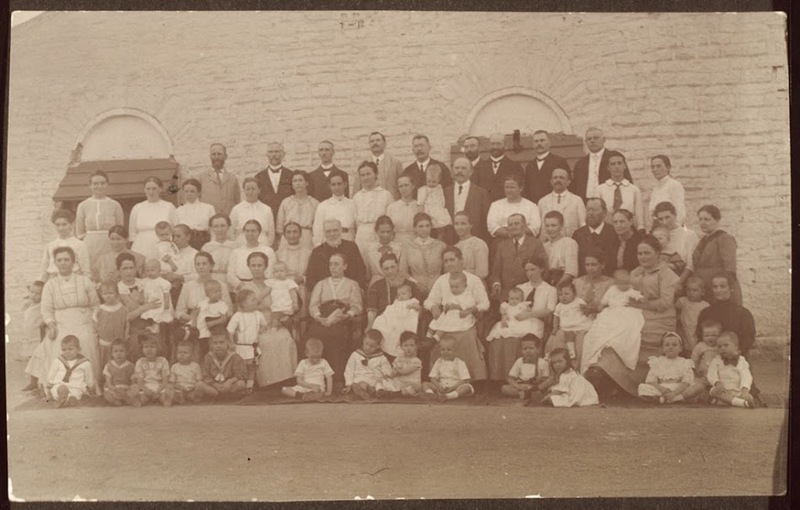 “Imprisoned mission wives and children, and elderly male missionaries, during the First World War in Bellary, South India.,” BMArchives, accessed April 23, 2019, http://www.bmarchives.org/items/show/67358.